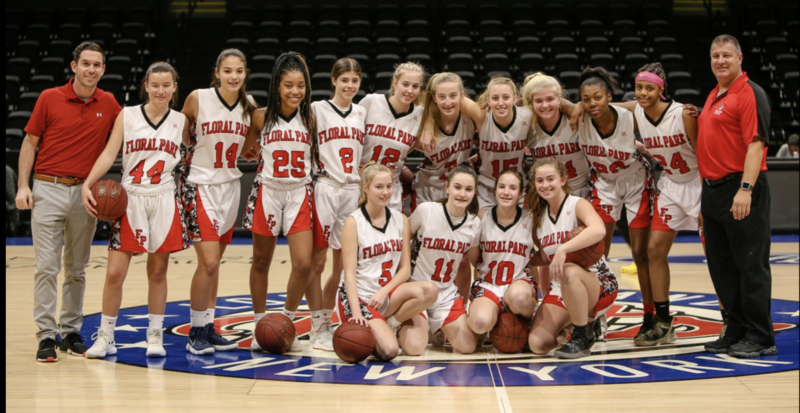 Three years ago, the girls’ varsity basketball team at Floral Park Memorial reached the state championship game with a record of 23-1. But with three players who would later play in college, the Lady Knights were expected to have a strong season. This year’s team, with an incredible 16-1 record and 22nd ranking in New York State for Class A schools, has been the surprise team for Nassau County. 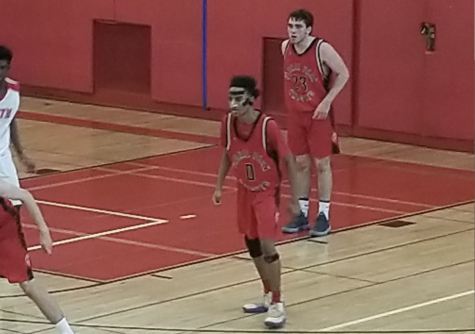 Floral Park avenged the only loss on its schedule (51-47 to Wantagh on December 17) with an impressive 54-40 victory that gives the team a chance to not only win the league but earn one of the top seeds in the upcoming Nassau County playoffs. 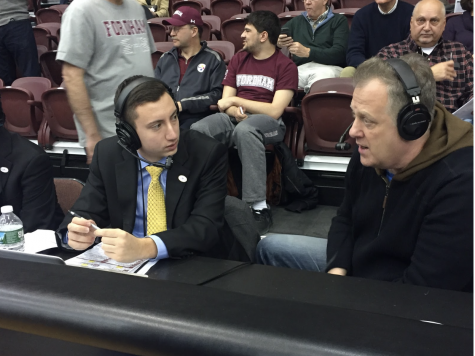 Coach Spina has been delighted with the hard work, unselfishness and intelligent play of his young team. With only two seniors on the roster, Kelly Ventura and Julia Minogue, it would have been easy for everyone to consider this to have been a rebuilding season. But early victories over Hicksville, Massapequa and preseason favorite Sewanhaka gave the Lady Knights the confidence needed to keep the momentum going. The final game of the season against North Shore will determine whether or not Floral Park will finish in 1st place. 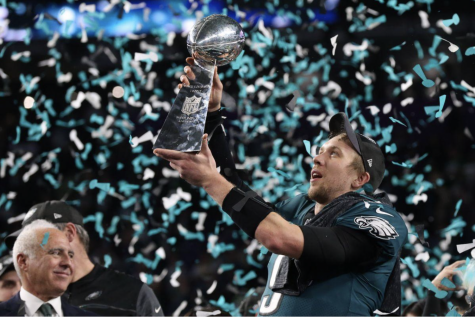 The Shield will have extensive playoff coverage next week.